Why Do E-learning Developers Choose iSpring to Boost Learner Engagement? In the absence of an instructor in a digital learning program, the responsibility of engaging your learners falls upon the e-learning course. This means the way you create your e-learning course is very important for the success of your training program. Right from the color scheme used, to the way content is presented, to the instructional design strategies and the multimedia elements, every single aspect of the course matters. In the present scenario, the development of a course largely depends on the rapid authoring tool and how it is put to use. Each tool comes with its own set of pros and cons, strengths and weaknesses. Skilled developers use these to their own advantage and create a course powerful enough to not let the lack of instructor be felt in a digital learning environment. iSpring lets you enhance online courses with audio or video narrations. This tool allows you to import audio or record a voiceover right in the tool. You can even synchronize it with your slides and animations. The built-in microphone setup wizard helps you select and adjust the best recording device such as headphones or the desktop microphone. iSpring lets you evaluate learners’ level of knowledge, and check the performance of courses with interactive tests and surveys. 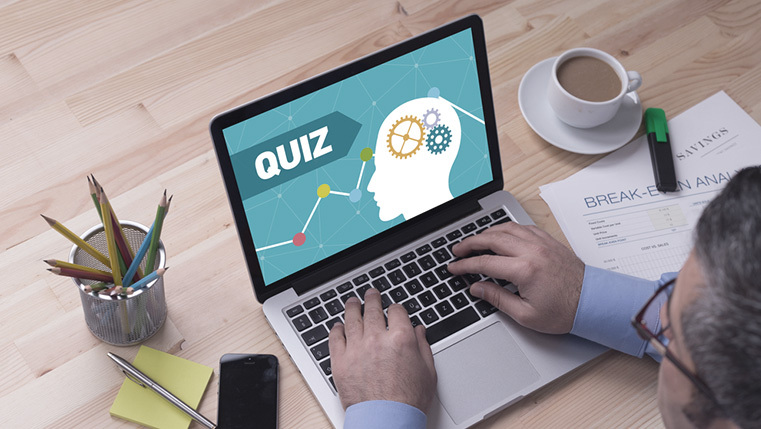 This tool lets you customize the display of each question. Change the layout, color, or scheme and even add animations, along with adjusting the display of video and images inserted in your questions. Increase the efficiency and engagement of your tests with branching scenarios, wherein each employee will take his own route through the questions. You can set the next task on the basis of correct answers, and for wrong answers, schedule appropriate feedback. You can even simplify or complicate the conditions for passing the test such as setting the number of attempts to answer each question or limiting the response time. Engage your learners better by using realistic working situations to help them practice their communication skills with clients and peers. iSpring’s TalkMaster lets you create various scenes and add links between them, thus building a branched conversation scenario. It lets you make your dialogue simulations highly realistic by adding voiceovers. You can record voiceovers for a narrator, character, reply choices, or simply bulk import existing audio narrations and sync them with the slides. As your employees make their choices through a conversation, they earn or lose points at each step, making the final score reveal how well they’ve mastered the skills. No matter what devices your learners use, iSpring ensures that it delivers a prime learning experience for 100% engagement. This tool lets you convert courses to HTML5, Flash, and MP4 video formats for universal compatibility. More so, you can even convert a course simultaneously to two formats: Flash and HTML5. This way, your course adapts to the device on which it is playing. Courses created with iSpring support all LMS standards. Be it SCORM 1.2, SCORM 2004 (2nd, 3rd, or 4th edition), AICC, Blackboard, cmi5, or Experience API (Tin Can API), your course will run flawlessly everywhere. iSpring suite’s rich and diverse collection of ready-to-use elements helps you develop immersive courses in minimal time. Templates of presentation patterns, photographic characters and backgrounds, icons, buttons, and navigation elements – everything is available in a preloaded content library. Using the combination of such elements, you can effortlessly create attractive courses that resonate with your audience’s mindset. By taking away the worries to find license-free course elements, iSpring lets developers focus on what’s important for the course. You have already made the right choice to go digital with your training program. So now, make another right one by hiring an experienced e-learning vendor to develop courses in the right manner and create maximum engagement.